My adoptive mother Rosella lay quietly in her hospital bed dying of cancer. She was communicating with her eyes that she wanted to unburden her conscience. With tears in her weary eyes, she reached out and touched my hand. “I gave all of my oil paintings and my entire estate to the church—now I have nothing.” My mother had owned a new car, an attractive brick house in a quiet neighborhood with big trees, and was known to have a lavish bank account. I was crestfallen and saddened by what she told me but reassured her that my only concern was for her comfort. If she needed money to pay for hospice care and funeral expenses, I would help her. I held her hand and brushed her hair. We spent many long days together reminiscing about past events and fond memories of our lives together. Her favorite priest read her the last rights at her bedside and thanked her for her generous financial contributions. She was quietly reserved and at peace with the world. The tranquility of the bedside scene was shattered when her outspoken sister Myna burst into the room holding a recently written Last Will and Testament in one hand and a fountain pen in the other. “Here, sign this. I want you to appoint me Executor of your Will. Judy is not your real daughter. She was adopted. I am your sister; your flesh and blood. She is somebody else’s child; she doesn’t even look like you.” Her words stung like a leather whip on bare skin. I was speechless. It was the first time in my entire life I had ever been ridiculed for being adopted. Her aggressive tone and outward display of greediness exceeded all rules of civility and destroyed the subdued ambience and quiet inner peace my mother and I had been experiencing. Her hateful words reminding me that I was adopted lingered in my memory like the smell of a hot branding iron for an eternity. She continued making a fuss even at the funeral. My adoptive father was a wealthy man. He was a private person with complete control over all aspects of his business. He demanded perfection and total obedience from his employees. When his eye sight suddenly declined due to macular degeneration he became a changed person. He was devastated by his sudden loss of vision and inability to analyze business spreadsheets, read the Wall Street Journal and play golf. He couldn’t even bait a fishing hook. In his youth he was known to be somewhat cold-hearted, but in the end he made the decision to do everything possible to help the blind. He gave his entire estate to support eye research and the treatment of eye diseases. I am very proud of the achievements of my adoptive parents and the large financial contributions they made to the church and medical research—but I can’t help but wonder if things would have turned out differently, if I was their flesh and blood? I wonder how many other adoptees have had similar experiences? This entry was posted in Adoption, Life, Parenting, Relationships and tagged ADOPTION, Adoption Detective, inheritance, Judith Land, Judith Land Blog. Bookmark the permalink. This is such a touching story.. thank you for sharing! Very moving. I am always interested in hearing about others adoption experiences. 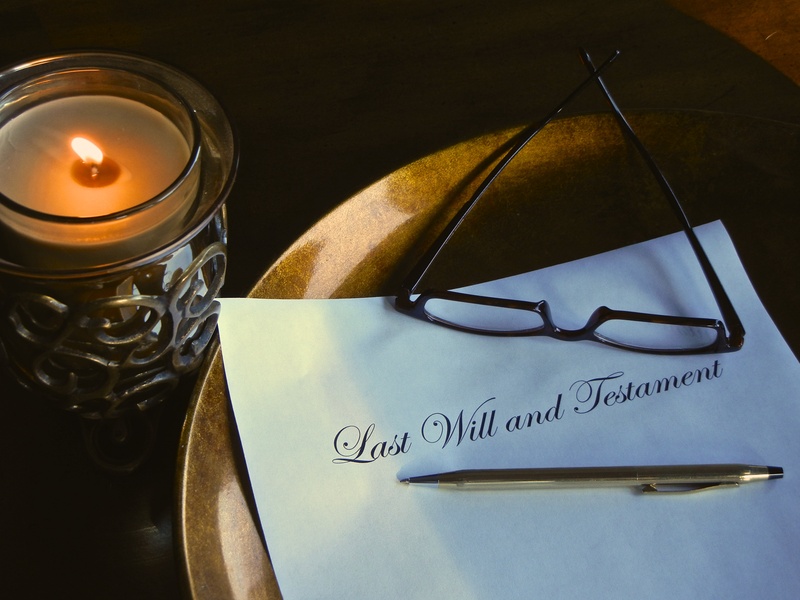 My Last Will and Testament story? My birth mother had no plans to let anyone know of my birth, including her husband who knew nothing about her pregnancy when they got married. However, a couple of years after they were married, she unintentionally spilled the beans. Nevertheless, they stayed together and not long after the revelation they had a child of their own. Eventually my mother inherited some family land of considerable value. Her husband was an attorney and he realized it was possible that one day I’d appear in their lives and ask for a share of her estate. He believed she would willingly re-accept me into her life, so he took steps to insulate her assets against any attempts he thought I might make to cut myself in. However, by the time I discovered the identity of my birth mother, she had been dead for 23 years and her husband had been dead for 16 years. The estate had been bequeathed to their daughter. Happily, she and I are close. I agree with you Judith that Wisdom is the greatest Inheritance! It’s been years now since we reunited, my two oldest daughters adopted by two different families, complicated! Thank you for sharing your experiences, very much appreciate.